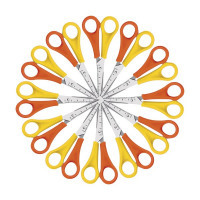 These great value scissors from Westcott have a rounded, blunt tip for extra safety. The stainless steel blades include a centimetre scale and the plastic handles are a colourful yellow and orange to indicate that they are for left handed users. 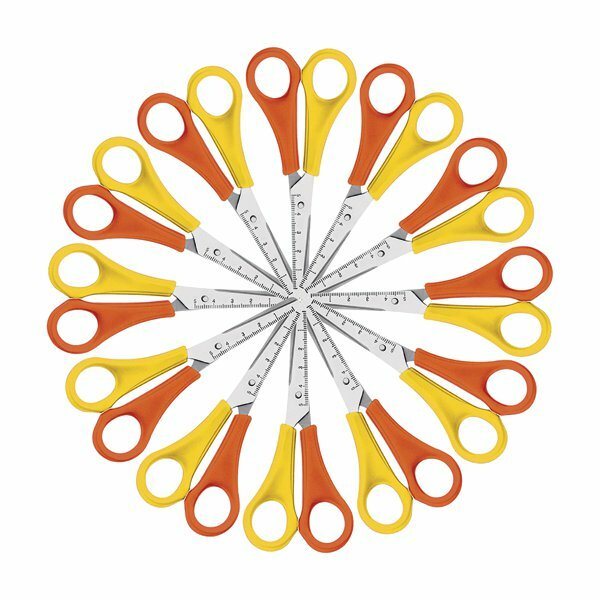 Ideal for use in school classrooms, these scissors are great for arts and crafts use for children aged 4 and over. This pack contains 12 pairs of scissors.